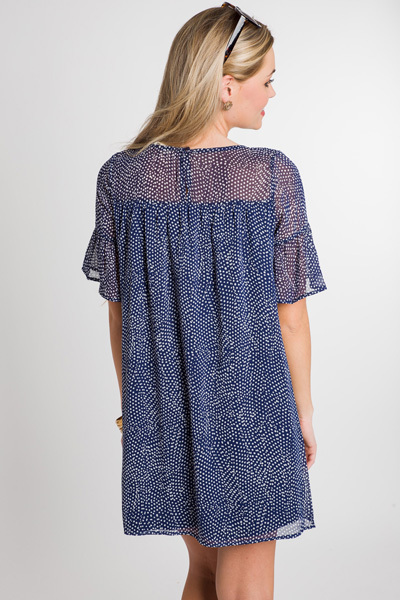 What could be cuter than a dotted babydoll dress?! Silky smooth fabric with ruffled sleeves for the sweetest, feminine look. Fully lined with a button closure. Fit is true to size. Model is wearing size small. Shoulder to hem measures approximately: S- 31.5" M- 32" L- 32.5"